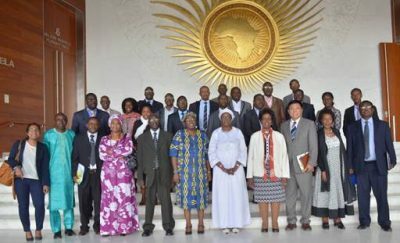 The African Union Commission (AUC), and Food and Agriculture Organisation of the United Nations (FAO), on Saturday 21st March jointly commemorated the International Day of Forests at the African Union Headquarters in Addis Ababa, Ethiopia. Speaking during the event, H.E. Rhoda Peace Tumusiime, Commissioner for Rural Economy and Agriculture (DREA) noted that the commemoration was not only about recalling the benefits of forests but equally about raising awareness on the dangers facing the global forest cover, especially in developing countries. “The role of forests is increasingly being recognised in efforts to adapt to, and mitigate the negative impacts of climate change. Deforestation and forest degradation accounts for about 18 per cent of global emission of carbon oxide. Thus, controlling this source of emission is a crucial step in averting further global warming,” she said. 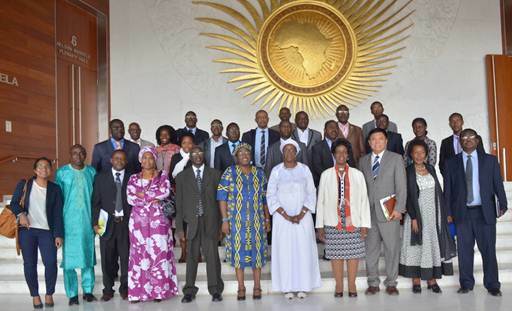 Mrs. Tumusiime recalled that in June 2014, the AU Assembly called for the development of a Regional Framework on Sustainable Forest Management in Africa and that in implementing that landmark decision, the AU Commission, in collaboration with FAO Regional Office for Africa, is elaborating a Sustainable Forest Management Framework for the continent, which would contribute to laying a strong foundation for the rational utilization and management of Africa’s forest heritage. Officially launching the commemoration, H.E Diallo Amina Djibo, Niger’s Ambassador to the AU and Vice Chair of the Permanent Representatives Committee said, the preservation of forests is cardinal as they are an important source of resources and livelihood. She encouraged all African countries to do more for the social and economic development of their populations and for environmental sustainability.